RORATE CÆLI: Notes on Misericordiae Vultus1. The defense of Vatican II goes into high gear.2. Has the Church forgotten to be merciful? Francis seems to think so.3. Urgent questions about the "Missionaries of Mercy." 1. The defense of Vatican II goes into high gear. 2. Has the Church forgotten to be merciful? Francis seems to think so. 3. Urgent questions about the "Missionaries of Mercy." I. The defense of Vatican II goes into high gear. II. Has the Church forgotten to be merciful? Francis seems to think so. III. Urgent and disturbing questions about the "Missionaries of Mercy." The opening of this next Jubilee will take place on the fiftieth anniversary of the closing of the Second Vatican Council in 1965. This is of great significance, for it impels the Church to continue the work begun at Vatican II. The Bull of Indiction (# 4) is even more enthusiastic and forthright about the link between the Jubilee of Mercy and Vatican II. I have chosen the date of 8 December because of its rich meaning in the recent history of the Church. In fact, I will open the Holy Door on the fiftieth anniversary of the closing of the Second Vatican Ecumenical Council. The Church feels a great need to keep this event alive. With the Council, the Church entered a new phase of her history. The Council Fathers strongly perceived, as a true breath of the Holy Spirit, a need to talk about God to men and women of their time in a more accessible way. The walls which too long had made the Church a kind of fortress were torn down and the time had come to proclaim the Gospel in a new way. It was a new phase of the same evangelization that had existed from the beginning. It was a fresh undertaking for all Christians to bear witness to their faith with greater enthusiasm and conviction. The Church sensed a responsibility to be a living sign of the Father’s love in the world. It is true that, in speaking of the Council as representing a "new phase" and a "new way" for the Church, he is only walking in the footsteps of previous post-Conciliar Popes who said the same thing, sometimes using stronger and more radical language. Francis also weaves together two strands of existing pro-Conciliar rhetoric when he speaks of the Council Fathers perceiving the "breath of the Holy Spirit" (echoing the Roncallist and Wojtylian rhetoric of the "New Pentecost") and tearing down the walls of a Church that had become a fortress (recalling the Balthasarian theme of "razing the bastions" that even Ratzinger endorsed.) The point of concern here is not so much that Francis says any of these things, but the way he focuses entirely on Vatican II as a break from the past and as a drawing closer to the world. It is as if nothing has been learned from the confrontations with secular and atheist ideologies in the last 50 years. The passages he chose to quote from John XXIII and Paul VI are revealing: the former's dichotomy between the Council's "medicine of mercy" as contrasted with "severity", and the latter's glowing profession of trust and admiration for the modern world. Francis, for all of his talk of going forward, seems intent on going back to the naiveté of the immediate post-Conciliar years. With the Jubilee of Mercy as the instrument of this time-travel. Mercy is the very foundation of the Church’s life. All of her pastoral activity should be caught up in the tenderness she makes present to believers; nothing in her preaching and in her witness to the world can be lacking in mercy. The Church’s very credibility is seen in how she shows merciful and compassionate love. The Church “has an endless desire to show mercy.” Perhaps we have long since forgotten how to show and live the way of mercy. The temptation, on the one hand, to focus exclusively on justice made us forget that this is only the first, albeit necessary and indispensable step. But the Church needs to go beyond and strive for a higher and more important goal. On the other hand, sad to say, we must admit that the practice of mercy is waning in the wider culture. It some cases the word seems to have dropped out of use. However, without a witness to mercy, life becomes fruitless and sterile, as if sequestered in a barren desert. The time has come for the Church to take up the joyful call to mercy once more. It is time to return to the basics and to bear the weaknesses and struggles of our brothers and sisters. Mercy is the force that reawakens us to new life and instils in us the courage to look to the future with hope. III. Urgent questions about the "Missionaries of Mercy." The Bull of Indiction (#18) mentions "Missionaries of Mercy" who will be sent out to the world and who will have the "authority to pardon even those sins reserved to the Holy See." This is a very curious concern, as the "sins reserved to the Holy See" are very few and are so reserved precisely because of their extreme gravity. For that matter, the expression used by Misericordiae Vultus is itself inexact. (This lack of exactitude is unsettling in its own way.) Under the 1983 Code of Canon Law (henceforth CIC 1983), it is more accurate to speak of sins and/or offenses (delicts) with canonical penalties -- such as excommunication -- that can be lifted only by the Holy See. The Holy See still has exclusive domain over the lifting of the canonical penalties for these sins, but no longer over their absolution in the Sacrament of Penance (cf. Canon 1357). In short there are no longer any "sins reserved to the Holy See", in the sense of sins that can be absolved only by the Holy Father or his delegate. It is only the lifting of the canonical penalties for these sins that is reserved to the Holy See. Hopefully the coming days will see more clarifications of what the Pope meant. However, granting that the Pope means that the Missionaries of Mercy will have the power to lift canonical penalties that are reserved to the Holy See, then we need to see what offenses merit such penalties, and what implications might flow from making it easier to remit these penalties. Can. 1367. 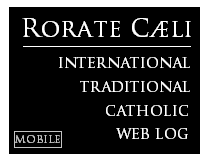 A person who throws away the consecrated species or takes or retains them for a sacrilegious purpose incurs a latae sententiae excommunication reserved to the Apostolic See; moreover, a cleric can be punished with another penalty, not excluding dismissal from the clerical state. Can. 1370 §1. A person who uses physical force against the Roman Pontiff incurs a latae sententiae excommunication reserved to the Apostolic See; if he is a cleric, another penalty, not excluding dismissal from the clerical state, can be added according to the gravity of the delict. Can. 1382 A bishop who consecrates someone a bishop without a pontifical mandate and the person who receives the consecration from him incur a latae sententiae excommunication reserved to the Apostolic See. Can. 1388 §1. 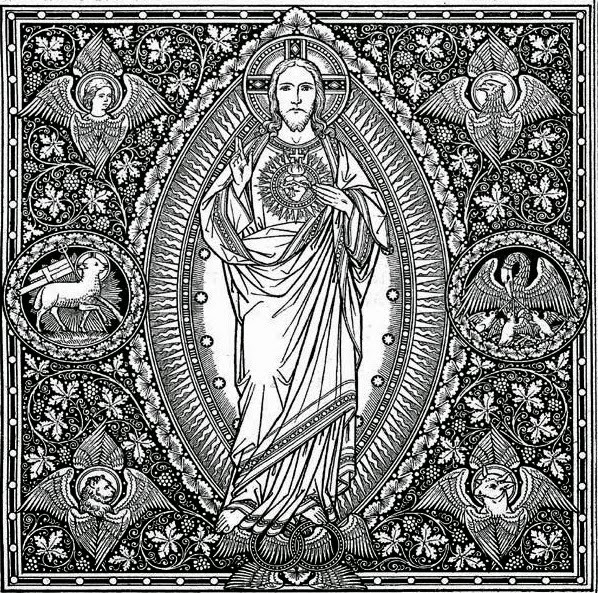 A confessor who directly violates the sacramental seal incurs a latae sententiae excommunication reserved to the Apostolic See; one who does so only indirectly is to be punished according to the gravity of the delict. Without prejudice to the prescript of can. 1378 of the Code of Canon Law, both the one who attempts to confer a sacred order on a woman, and the woman who attempts to receive a sacred order, incur an excommunication latae sententiae reserved to the Apostolic See. If, in fact, the one who attempts to confer a sacred order on a woman, or the woman who attempts to receive a sacred order, is one of Christ’s faithful subject to the Code of Canons of the Eastern Churches, that person, without prejudice to the prescript of can. 1443 of the same Code, is to be punished with a major excommunication, the remission of which is also reserved to the Apostolic See (cf. can. 1423, Code of Canons of the Eastern Churches). Canons 1370 §1 and 1382 deal with matters so rare that it is highly unlikely that any of the "Missionaries of Mercy" will have to deal with these. 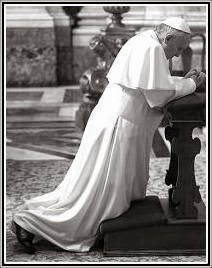 1) Would not the Pope be further weakening the already parlous state of reverence towards the Sacraments, and the Blessed Sacrament in particular? 2) Would not the fight against women's pretended 'ordination' be weakened? 3) Would not the fight against unchastity among priests be weakened? The last question is not just about encouraging priests to remain chaste. This has implications for the ongoing battle over the venerable law of celibacy, once more under siege from "progressivist" elements. This has implications for the ongoing battle against priests who prey on vulnerable people, and are not above using the confessional to conceal their offenses from both Church and State. Last but not the least, this has implications for the faithful's trust in the clergy in general. We trust that our readers will see for themselves the gravity of our concern with this aspect of the Jubilee of Mercy. Our concerns are occasioned by a reasonable reading of the actual text of Misericordie Vultus. We are fully aware that the Vatican may eventually clarify that the Missionaries of Mercy will not, in fact, have the power to lift the penalties for "reserved sins". However this will entail going back on the most reasonable meaning of what the Bull says.